Winter brings with it some welcome seasonal changes and exciting holidays. As cold and blustery as it gets, though, many Curlies end up with wind-whipped, dry hair. The good news is that you can rectify that at home with these moisturizing homemade hair mask recipes. What’s more, you probably already have everything you need right in your pantry and refrigerator to whip up these irresistible hair masks. 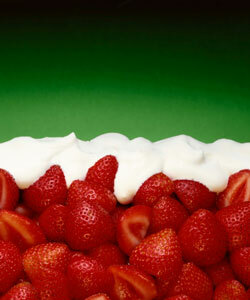 Using a fork, mash the strawberries (in a bowl) until they are runny and practically a liquid. This step will go much faster if you cut your strawberries into fourths before attempting to mash them. Then, stir in the mayo. Wet your hair just to dampen it, then apply the mask thoroughly to your hair and scalp. Cover your hair with a shower cap and leave on for twenty minutes. When the time is up, shampoo the mask out and rinse as usual. With a couple of baking ingredients and salt, this homemade hair mask recipe would make banana bread! As you can imagine, it smells so scrumptious, it’ll have your mouth watering for some banana bread — which you can make while you let it set on your hair! Put all of the ingredients into a blender and blend until the mixture is smooth. Apply to your hair and leave it on for 30 minutes, then use warm water to rinse. To wash, shampoo hair as usual. This recipe also works well to control the frizzies in hair types 3, 3C and 4. OK, so this isn’t exactly like guacamole, and you probably don’t want to dip nachos in it. However, it’s still a great moisturizer for hair types 2, 3, 3C and 4 — so pretty much all curlies! 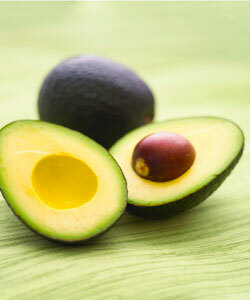 Slice the avocado lengthwise, remove the pit, and scrape out the flesh inside. Place it in a bowl, then add the honey and olive oil. Whip the ingredients together for about a minute and apply to hair from scalp to tips. You can then let it set for about 20 minutes before shampooing the mixture out of your hair. Use organic and raw ingredients, such as raw honey, if possible. These ingredients often offer chemical-free nutrition for your body, and your hair is no exception. If you’re vegan, you can substitute for vegan-friendly ingredients (such as “vegannaise” instead of mayo), but the results may not be the same. For recipes that call for mayo, eggs (the primary ingredient in mayo) are a key ingredient for moisture.